« Choosing furniture for the living room. The free space in the house is a very important detail for general comfort. Space gives us a feeling of comfort, freshness and gives the possibility of flight of thought. But, unfortunately, not everyone can afford a spacious house or a large apartment. But those who, by the will of fate, live in a small, or even a small apartment, do not despair. After all, comfort can be created even in the smallest room. 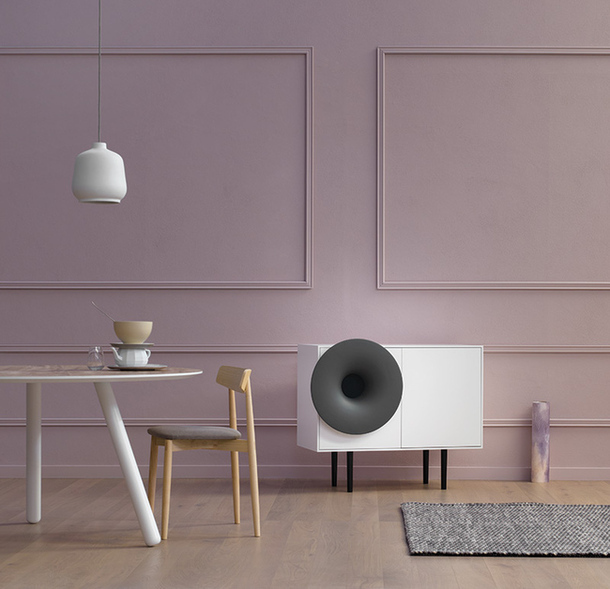 In this article we will offer you 9 tricks that will allow you to get a feeling of freedom and spaciousness in small rooms. Tips are universal, they can be used both individually and in combination. In order for space to give a feeling of freedom, it is not necessary to give up furniture or tear down walls, it’s enough just to arm yourself with several tricks that will allow you to deceive sensations. If there is not enough space in an apartment or a particular room, then you need to be very careful when choosing furniture. The best option in such a situation would be furniture that “knows how” to perform several functions. For example, a large and high rack can serve as a cabinet, and a console, as well as on its shelves you can add anything you want. Or a chest of drawers that can serve as a bedside table for TV and at the same time it can be stored in a sufficiently large number of things. 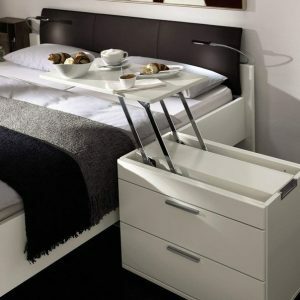 Multifunctional furniture is a great opportunity to save space. It has long been known that mirrors “can” visually increase the space in the room. Therefore, for small rooms, the use of mirrors is not only “useful”, but also necessary! You can not limit the use of classic wall mirrors, as well as furnish the room with furniture with smooth surfaces. 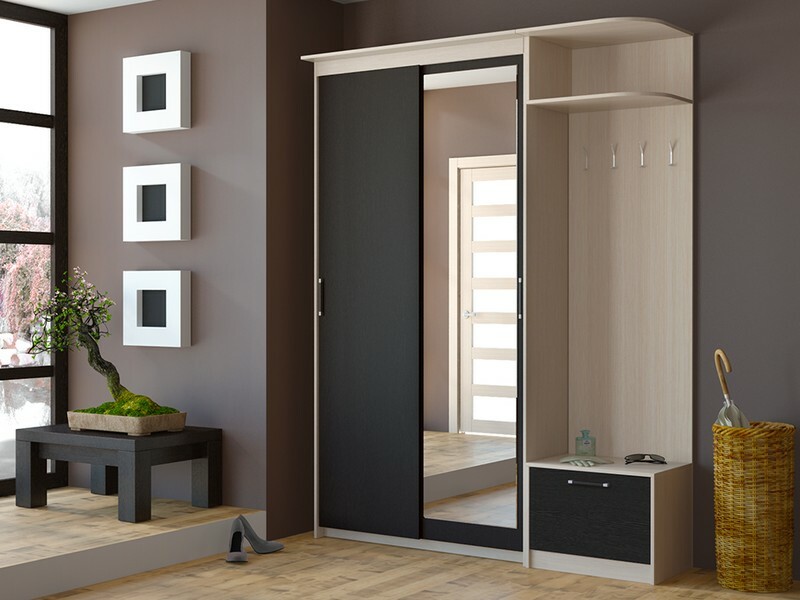 For example, install a sliding wardrobe with mirrored doors, or a screen that can be revetted with mirrored panels. 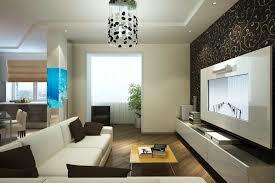 The use of this type of furniture is simply indispensable for a small apartment. You can put a folding table in the kitchen, which can easily turn into a large table for guests. In the living room coffee table-transformer, which will turn into a tea table. In the hallway, you can install a folding hanger or shoe rack, which, if necessary, will be able to increase their capacity. And for those who have to combine a living room with a study, a transforming table for working at a computer is generally “first necessity” furniture. Minimum furniture and light walls. Another safe option for the visual expansion of space is considered to be the so-called “furniture minimalism” – that is, as little furniture as possible in the room, leaving only the most necessary, compact and functional. White walls can be added to the “furniture minimum”. White color gives a feeling of freshness and spaciousness. Argued that for a small room would be enough and one light source. But we, with pleasure, will deny this myth. After all, the more in a small room will be light zones, then it will seem more spacious and diverse. It is very simple to add these light zones; it is enough around the perimeter, along the walls, to hang the sconces, thereby complementing the chandelier and other light sources. Mobile furniture, or “furniture on wheels” will be useful everywhere, but in small spaces the value of such furniture increases several times. If you need to free up space, you can easily move it easily, or “move on it” to another room. The advantages of this kind of furniture, anyway, are obvious, because it can be folded into each other or assembled in stacks. It is very convenient when one table turns into three. Also, such furniture takes very little space. It can be put somewhere in a secluded corner, and if necessary, get and use. A bench in the kitchen is a great option for a large family who lives in a small apartment. After all, on the bench can accommodate more people than on chairs. Also, a rational option can be considered and the installation of benches in the hallway, because the shoe is much more comfortable sitting. In order to visually increase the height of the ceilings, you can use wallpaper with vertical stripes, and if you need to arrange a more unusual room, such as an attic, you should use more complex and dense patterns – this will help smooth out sharp corners and hide the slopes, and of course, visually expand the space. A small apartment – it does not matter, because even in the smallest space you can arrange comfort, and the above tips will help you in this. And remember that you can make a cozy even a small room, you just need to find a non-standard approach.